The new Volkswagen T-Roc brings a new level of personalisation to the compact SUV market. Confident and bold with customisable colour combinations and option packs to enhance its striking looks, this vehicle really is built to stand out. But it’s not just about style: the T-Roc adds substance with powerful performance and cutting-edge technology designed to enhance your drive to the full. Designed to be instantly recognisable both day and night, the all-new T-Roc features a wide front grille with integrated LED headlights, chrome detailing and a coupé-inspired roofline. Its muscular stance is accentuated by plastic trim, which protects the bodywork and wheel arches should you venture off-road. The SUV’s capacity for creativity is boundless. Select from up to 24 colour combinations to fully personalise your T-Roc – whether you want a Pure White body and black roof or an Energetic Orange body and white roof, you can choose the style that suits you. The new Volkswagen T-Roc’s cabin mirrors the flair of the exterior, incorporating durable materials and upholstery in a range of colours. Choose between cloth and leather seating for complete comfort and set exactly the right mood with background lighting. With the Design model you can even pick the dash colour. Technology abounds in this intelligent vehicle. Make light work of parking with the front and rear sensors, which give audio and visual signals to help you in and out of tight sports. Those who want to tackle challenging terrain, meanwhile, will enjoy the 4MOTION Active control, which enables you to select from a series of driving profiles at the touch of a button. There’s ample technology inside too: optional voice control allows you to make calls and select functions without lifting a finger, while the Car-Net App-Connect feature makes connecting your smartphone to your car simple. Combining the agility of a smaller vehicle with the capability of an SUV, the new T-Roc can handle any terrain with confidence. Three petrol and two diesel engines are available, with the 4MOTION variants tuned to allocate power to all four wheels, creating maximum stability at speed. It’s not only on the open road that the T-Roc shines. Around town, its dimensions ensure a nimble drive, and the responsive and accurate power steering makes manoeuvres easy. Take it off-road and the four-wheel drive option comes into its own, soaking up bumps and providing capable handling. A raft of advanced safety features ensures the Volkswagen T-Roc is prepared for any situation. 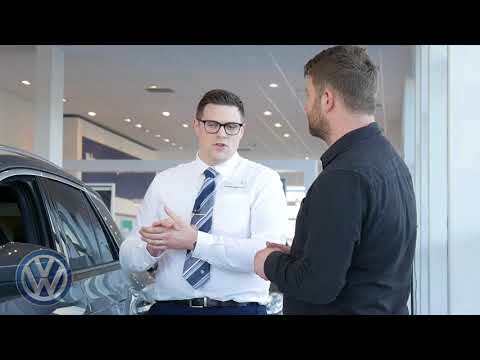 Active systems such as Front Assist and City Emergency Braking help to avoid collisions by providing a warning when a possible collision is detected and braking automatically if you don’t respond in time. Should the worst happen, passive features such as airbags are in place to minimise the risk of injury. 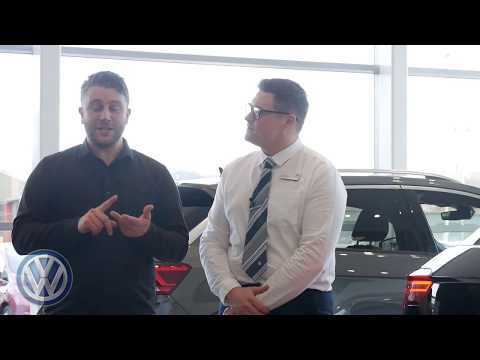 The new Volkswagen T-Roc is available at Des Winks Volkswagen in Scarborough today. To find out more about the model range or to book a test drive, contact our team by calling 01723 330437 or submitting an online enquiry form. 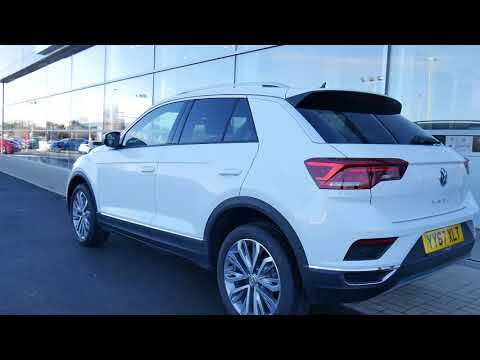 We’ll be happy to help you choose your ideal version of the T-Roc.